It’s a hot and humid Georgia summer, and 10 year old Beau Jackson and his family have made their annual journey to the summer retreat of Gull Island. (Gull Island is not really an island, it’s a peninsula, but like the name of Gull Island, not everything is like it seems.) Beau’s family stays in the old home still occupied by his grandmother and they’re joined by his aunt and his odd cousin Sumter. The Jacksons seem like a typical albeit somewhat dysfunctional Southern American family, but that doesn’t take long to change. 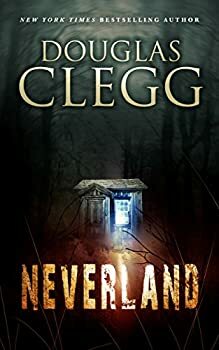 As Beau and Sumter begin spending time in a run down little garden shack which contains a presence which Sumter names “Lucy,” what starts out as innocent childhood fantasies slowly turns into something much more diabolical. Harrow Academy — (2000-2003) Publisher: The mansion overlooks the Hudson River, just outside the town of Watch Point, New York. It has been empty for decades, but now, it’s a private school for boys. And one of the boys, Jim Hook, should never have come to Harrow Academy… For, within the walls, something horrifying awaits him… a haunting more disturbing than any other… A group of misfits and malcontents want Jim in their dark fraternity… And the house called Harrow is hungry. The Halloween Man — (1988) Publisher: The Halloween Man walks when the screaming begins, and only Stony Crawford holds the key to the power of the chilling mystery of Stonehaven, and to the power of the unspeakable creature trapped within a summer mansion. Dark of the Eye — (1994) Publisher: Emerging from a tragic accident with supernatural powers, eleven-year-old Hope Stewart becomes prey to her scientist father’s exploitation, a government agent intent on murder, and an evil-worshipping madman named Monkey. The Children’s Hour — (1995) Publisher: Returning from Baltimore with his wife and children, a successful writer is haunted by an accident that should have claimed his life, and a girl who has been missing for thirteen years mysteriously returns. You Come When I Call You — (1996) Publisher: An epic tale of horror, spanning twenty years in the lives of four friends — witnesses to unearthly terror. The high desert town of Palmetto, California, has turned toxic after twenty years of nightmares. In Los Angeles, a woman is tormented by visions from a chilling past, and a man steps into a house of torture. On the steps of a church, a young woman has been sacrificed in a ritual of darkness. In New York, a cab driver dreams of demons while awake. And a man who calls himself the Desolation Angel has returned to draw his old friends back to their hometown — a town where, two decades earlier, three boys committed the most brutal of rituals, an act of such intense savagery that it has ripped apart their minds. And where, in a cavern in a place called No Man’s Land, something has been waiting a long time for those who stole something more precious than life itself. Purity— (2000) Publisher: Owen Crites has watched Jenna Montgomery become a beautiful young woman as they’ve practically grown up together through the summer. Owen is the gardener’s son who will one day become groundskeeper of the Montgomery summer estate on Outerbridge Island, off the New England coast. Now, both of them teenagers, Owen begins to understand that Jenna is meant for a different life in adulthood than he is destined for — and he knows that he must somehow keep her on the island until she no longer wants to leave. But there’s a shadowed evil nestled in Owen’s heart. Enter Jimmy McTeague, the young tennis star from Manhattan, heir to a sporting goods fortune, has also come to spend the summer with the Montgomery’s — and soon, a triangle of love, hate, and the darkest of human impulses emerges. Naomi — (2000) Publisher: From International Horror Guild and Bram Stoker Award-winning author Douglas Clegg, comes his most fascinating and enthralling creation yet — full of witches and terrors and a Forbidden City beneath Manhattan… The subways of New York City are only the first stage of Jake Richmond’s descent into the vast subterranean passageways beneath the city — and the discovery of a mystery and a terror greater than any human being could imagine. Naomi went into the tunnels to destroy herself… but found an even more terrible fate awaiting her in the twisting corridors. And now, the man who loves Naomi must find her… and bring her back to the world of the living, a world where a New York brownstone holds a burial ground of those accused of witchcraft, where the secrets of the living may be found within the ancient diary of a witch, and where a creature known only as the Serpent has escaped its bounds at last. The Attraction — (2004) Publisher: Charlie Goodrow runs the Brake Down Palace Gas and Sundries, and anyone who stops for a fill-up hears Charlie’s tale of the Ancient (Aztec) Flesh-Scraper, whose mummified remains are housed behind curtains, in a glass case, at the back of his shop. Afterlife — (2004) Publisher: A school for special children. An unsolved murder. A terrified widow. A dream of blood and lost souls. A stranger with an unspeakable secret. It all comes together in the afterlife. Isis — (2006) Publisher: Isis Villiers, the youngest of four children, relocates with her family to a cold, ominous castle in England. Isis, along with Lewis, her eldest brother, and twin brothers Spence and Harvey, feels despondent about their move to their mentally unstable grandfather’s estate. Gone are the days when they played with ease, performing their favorite play, Isis and Orisis, in which Isis brings her brother back from the dead. Worse still, the family burial crypt lies on the grounds. Between the raving madness of her grandfather, the ghost stories told by Old Marsh, the groundskeeper, and her evil governess, Edyth, Isis cannot help but feel a sense of foreboding. All but ignored by brothers Lewis and Spence and her bedridden mother, Isis finds strength and happiness only in Harvey. He is her salvation, her protector. That is until they are aroused by the shrieks of Isis, who cries for dear life when Edyth pushes her in a fit of rage from an upstairs window. In a desperate attempt to save his sister, Harvey tries to pull Isis up, only to plunge to his own death. Isis seeks the comfort of Old Marsh, who tells her twisted tales of people bringing their loved ones back from the dead through the majestic power of the burial crypt. Remembering her childhood play, Isis begins to wonder: can she channel her loss to bring Harvey back? And if so, will Harvey want to return from what might be the magnificent world of beyond? Mordred — (2006) Publisher: A monk becomes enthralled by the story prisoner Mordred has to tell, one of ambition, power, and betrayal. Here, Mordred emerges as a sympathetic and romantic hero, tortured by his love for the knight he cannot possess.